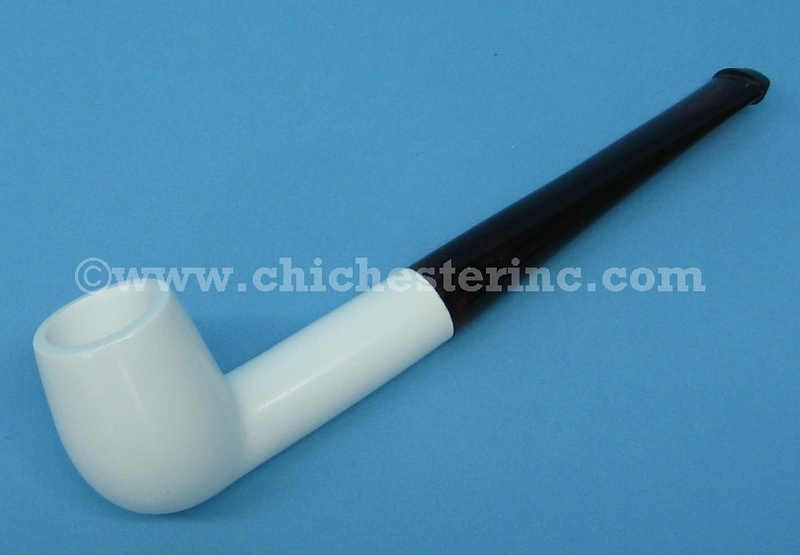 Meerschaum, also known as sepiolite, is a soft white mineral. 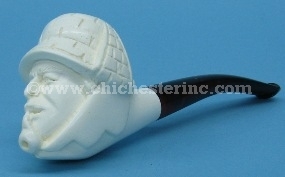 It is carved for use as smoking pipes. 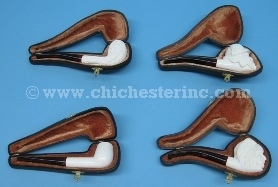 The meerschaum pipes gradually change color when smoked and will turn incremental shades of yellow, orange, and red from the base on up. The pipes are approximately 6" to 6.25" long, 0.5" wide, and 1.5" to 2.5" high. They weigh about 3.2 oz. 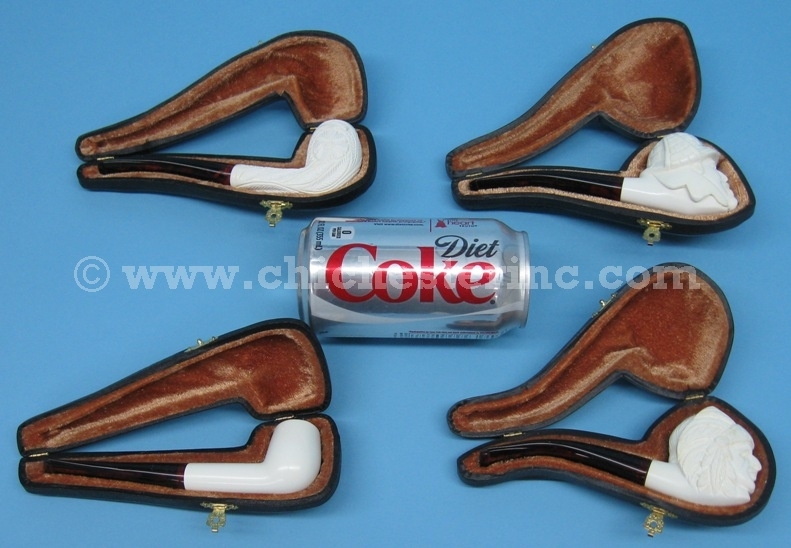 They come in a case.